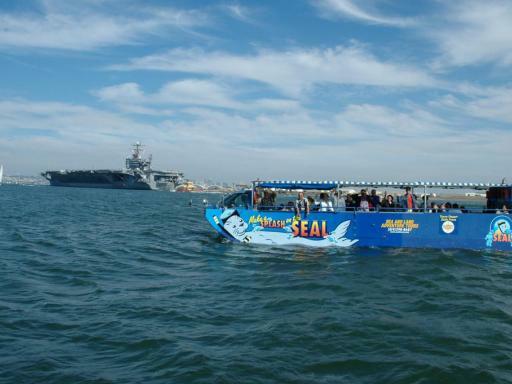 comment Both tour bus and boat, the San Diego SEAL Tour is the only way to see the city by both Sea AND Land! 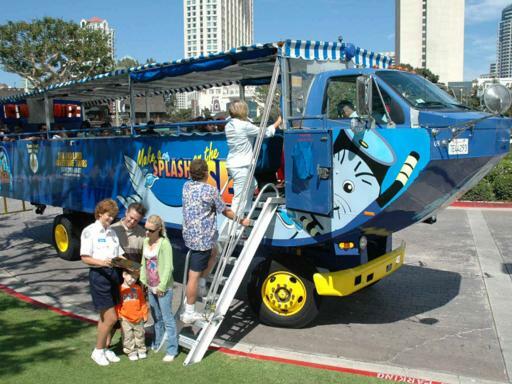 San Diego sightseeing tour by land and sea in a Hydra-Terra amphibious vehicle. 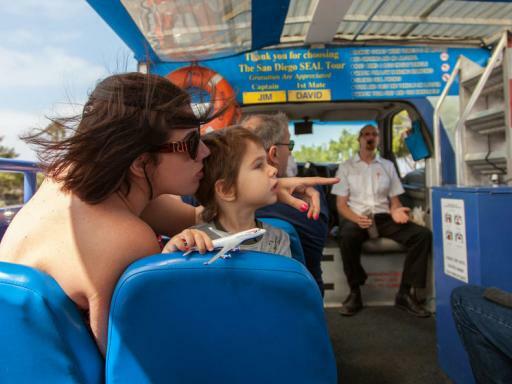 Pass by waterfront highlights like Shelter Island, the USS Midway Museum and the Maritime Museum. 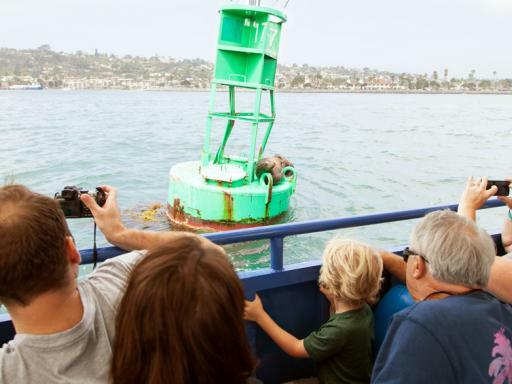 Splash into the water to cruise around Point Loma View the Cabrillo National Monument, Naval Air Station North Island and Point Loma Submarine Base from the water. 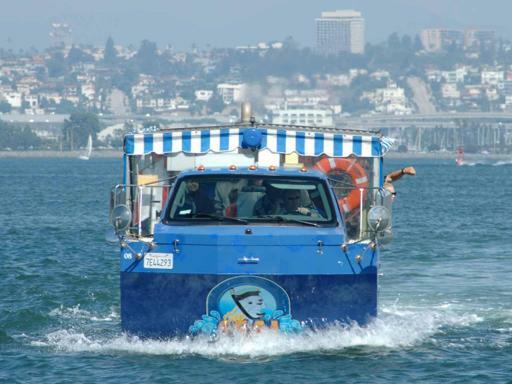 Splash into San Diego’s most unique sightseeing adventure! What drives like a bus and glides like a boat? 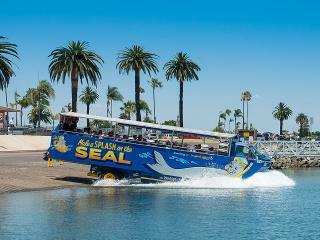 The San Diego SEAL Tour, of course! 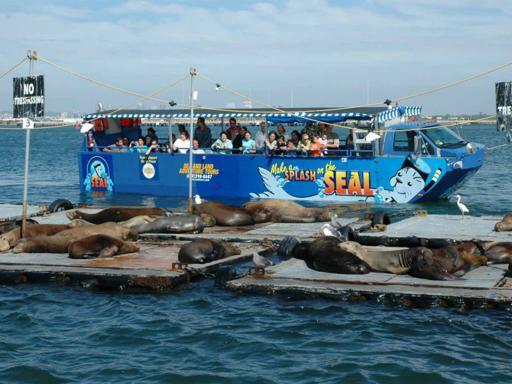 If you’ve ever wished for a tour that showcases the most interesting vantage point of San Diego, then climb aboard the San Diego SEAL Tour and see America’s Finest City how it was meant to be seen – by sea and by land! 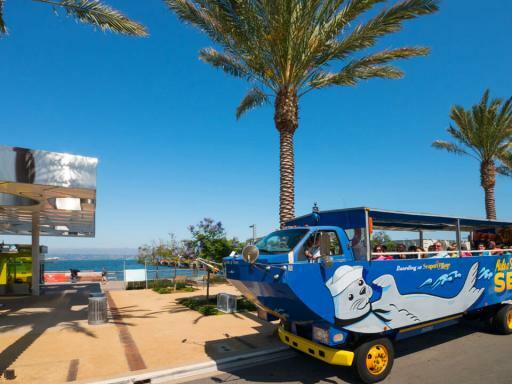 The fun begins at Seaport Village as the Hydra-Terra amphibious vehicle takes off, heading on the road around the Big Bay where you will get a chance to see the Maritime Museum home of the oldest active sailing vessel, the Star of India, the U.S.S. Midway, Lindbergh Field - San Diego's international airport dedicated to aviator Charles Lindbergh, Seaport Village, Shelter Island and many other San Diego attractions. 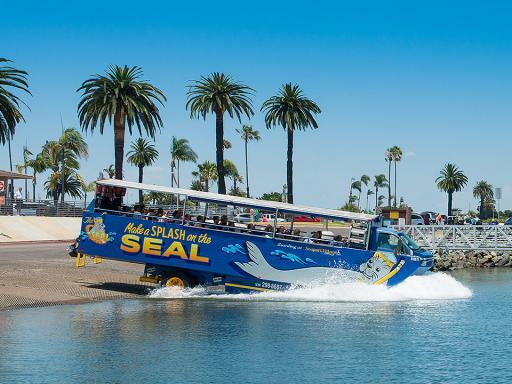 After seeing San Diego by road, get ready for a thrilling change of terrain as the San Diego SEAL effortlessly splashes down into San Diego Bay for the second half of your adventure! 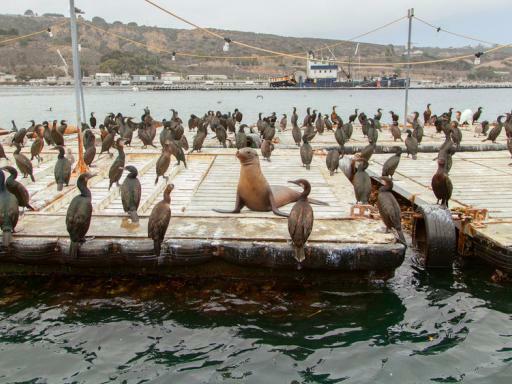 Gliding past resident San Diego sea lions, a few California brown pelicans and several other wildlife species that make the bay their home, the SEAL Tour becomes a San Diego harbour tour— without you ever having left your seat! Once in the water, The Seal takes you on a leisurely cruise where you can witness the magnificence of the water, various San Diego attractions including Point Loma with its beautiful mansions lining the hillside, the North Island Naval Air Station - one of the largest repair facilities for fighter jets, Point Loma Submarine Base, the Scripps Institution of Oceanography, the Marine Mammal Training Center, Shelter Island and much more. Late check-in may result in forfeited reserved seat. Closed on Thanksgiving and Christmas Days and Special events. Weather and low-tide conditions may cause delays, detours or cancellations.